Take the 5-minute survey to help us improve ROBOTS! With the holiday season ahead of us and Christmas dinners already started, many of us are starting to feel the pinch at our waistlines and are planning some ambitious weight-loss goals as New Year’s resolutions. To help with those resolutions, today’s show will focus on robotic help for losing weight! We speak with Cory Kidd from Intuitive Automata about his robotic weight-loss coach that can help you take those pounds off and keep them off, and may take your Roomba‘s place as your new robotic best friend. We’ll also be holding a Christmas contest for a chance to win two kits to build tiny hyperactive bug-like robots offered by Didel SA. For a chance to win, just tell us “who created the giant 6-legged robot” featured in one of our episodes this year at contest@robotspodcast.com. Cory Kidd is a recent Ph.D graduate from the Personal Robotics Group at MIT’s Media Lab, where he studied human-robot social interaction and the use of robotic interfaces to help people lose weight. He tells us about how his prototype robotic weight-loss coach drastically improved the chance of success of weight loss, as well as his new company Intuitive Automata that will be commercializing the product. During his Ph.D studies Kidd designed Autom, a sociable robot who’s sole purpose is to help you keep track of your diet, stay motivated and achieve your personal weight-loss goals. Autom is embedded with learning algorithms that adapt to your personality and your progress, as well as years of research in human-machine interaction to help you connect with the robot and take it seriously when it recommends your daily diet! Kidd tells us about how people react to inanimate objects as soon as you put a set of eyes on them and which aspects of embodiment are important in creating a true bond between a human and a robot which ultimately aids the robot in succeeding in its task. 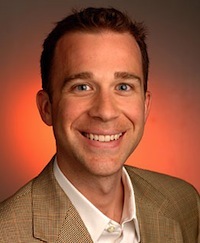 He also speaks about a study he conducted using a prototype version of Autom and how it performed compared to traditional weight-loss techniques such as pen-and-paper or a virtual avatar on a computer screen. Don’t miss our Christmas contest for a chance to win two robot Kits offered by Didel SA. 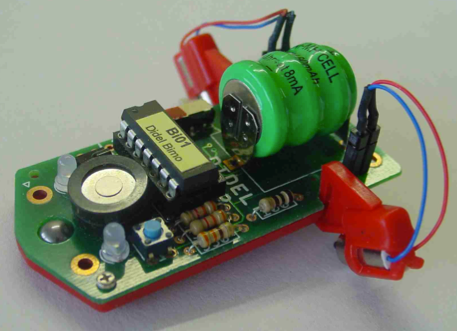 With the first kit, you’ll make a tiny “Bimo” robot that runs around like a hyperactive bug using two motors. The kit contains a radio controller and all the electronic components which you’ll need to build your robot. You’ll need your own soldering iron so make sure you have that handy. Once you’ve built your robot, you can reprogram its microcontroller if you’re unhappy with its original behavior. 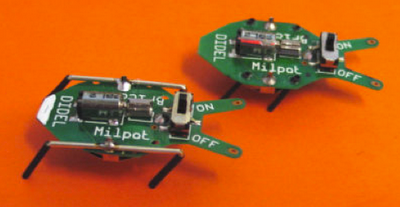 In the second kit, you’ll be designing legs for a vibrating robot called the Milpat Veloce. Think out of the box and you might be strapping all types of slippery or hairy surfaces under the robot for maximum speed, climbing or hopping. Two win these two kits just answer to the following question by email at contest@robotspodcast.com. We’ll be randomly picking a contestant with the correct answer on the 1st of January. For more information on today’s ROBOTS news, including Festo’s CyberKite’, Arimaz’s MyDeskFriend Pingo and the TETRA Micromouse visit the Robots forum!